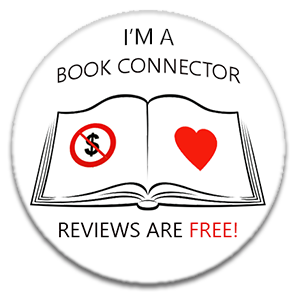 Hello my bookish friends! A very warm and squishy welcome to damppebbles. Mondays, huh? They tend to be quite rubbish, let’s face it, but I’m hoping to make this Monday HEAPS better for you. Back in January when I was having a bit of a bookish, bloggish break my little piece of the internet turned three years old…YAY! I’m not normally one to let things like this pass but I was a little grumpy so I did. Shame on me. However, that doesn’t mean I can’t do something to celebrate nearly a month later. Now I have to say it feels as though I’ve been part of the bookish community for a lot longer than 3 years…but in a good way. There have been some incredible highs (and a couple of lows which are now water under the bridge). What I love most about book blogging (apart from the books) are the incredible friends I have made. So to celebrate three years of damppebbles I am offering YOU the chance to win three Kindle ebooks of your choice (one for each year I have been blogging). I’m afraid the giveaway is UK only as you can only gift ebooks on Amazon to people in the same country as you – grrrrrr. They can be absolutely anything at all (within reason). To enter all you have to do is tell me the three books you would choose in the comments below. That’s it! Easy, right? Although if I had to pick three books it would take me weeks to narrow it down 😉. Unfortunately, you don’t have weeks (so here’s hoping you’re a little more decisive than I am!). You have until midday (GMT) on Friday 15th February to comment with your three choices. There’s nothing like putting the pressure on, lol! One entry will be selected at random at midday on Friday so please make sure I have a way of contacting you if you are the lucky winner. The winner will then need to provide me with their Amazon email address so I can ping the books over to them. Job done! Good luck everyone and thanks for all of your support over the last three years ❤️.